Apple’s iPad is off to a solid start, which could lead Wall Street to increase its Apple estimates for the year sooner than later. 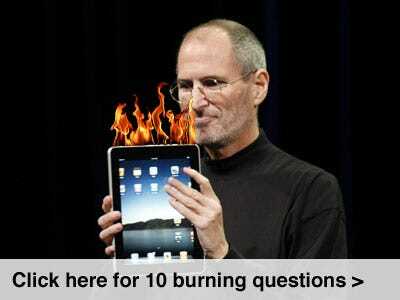 Apple has taken “hundreds of thousands” of pre-orders for the tablet, according to the WSJ. This is not surprising. There has been pent-up demand for an Apple tablet for more than a year, and there’s a pretty big field of Apple fanatics who will buy almost anything the company releases. Further, early reviews of the device have been mostly positive, and there’s basically no competition. The really big sales may come around graduation time, back-to-school, and especially this holiday season. But still, a good start. Meanwhile, the WSJ says that Apple is still trying to get TV companies to let it sell TV episodes for cheaper prices. And, “Apple also hoped to work closely with newspaper, magazines and textbook publishers on new ways to digitally present print content on the iPad, but has for now put the effort on backburner in favour of focusing on other content,” a WSJ source says. We’re curious to see how Apple will report iPad sales: If it will break them out as a separate category, or include them in the “other music” category it puts the Apple TV in. Or perhaps even in the iPhone or iPod categories. The company may shed more light in its March quarter earnings release or call next month. We’re also curious about whether or not pre-orders — which won’t ship until April — and channel inventory will be included in the March quarter or not.